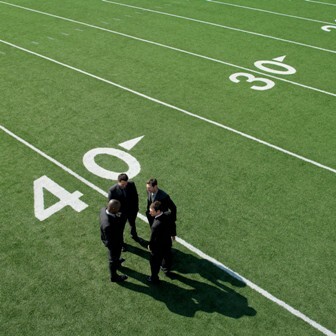 Services – Target Technologies International Inc.
Whatever your artificial sports field design or construction needs – Target Technologies International (TTII) stands ready to assist. At TTII we recognize that your business needs are ever-changing. Whether you are an artificial sports field design or construction company – we offer a comprehensive range of products and services. These offerings can easily be tailored to your firm’s specific needs. TTII takes pride in our progressive focus on continually improving our quality control program on all our products. Throughout the years TTII has worked hard to create a high level of standards and policies ensuring a quality and consistent product nationwide and that ensures top quality products delivered to your job site. We believe this is one of our keys to success. Liaison between product vendor, freight carrier, and project site contact – to ensure on-time product deliveries. One-stop all-inclusive invoicing per project. TTII is first and fore-most a marketing company. We are dedicated to the principal of providing environmentally friendly products that benefit the human condition. While our prime focus has been the supply of products and services for artificial sports field design and construction, our “Globally Connected” supply-chain allows us to reach the far corners of the globe – to procure and distribute unique commodities. At TTII, we are extremely open-minded when presented with exciting new marketing opportunities. Challenge us: send in your marketing ideas for environmentally friendly products. TTII uses its worldwide network of contacts – to seek out potential target audiences in order to successfully market your product. Our staff has over 60 years of combined experience working for you. From sales and marketing, to worldwide supply-chain and logistics planning, TTII can be your one-stop avenue to getting your product to the marketplace. Can we help you with your product marketing? We welcome you to submit your business marketing ideas to us for a comprehensive evaluation. Contact us and complete the direct-response form. We will be happy to get back to you with our assessment. As always, we thank you for your interest in marketing with TTII.